The need has never been greater for individuals who can address increasingly complex environmental issues. The Environmental Science and Policy (ES&P) Program seeks to produce future leaders with interdisciplinary analysis and problem-solving skills. ES&P majors work in teams to address sustainability projects on campus or with local community partners. Projects have included conducting stakeholder processes around climate change, mapping soil quality at a local organic farm and designing new sustainability policies for Smith. During the summer, ES&P offers the unique interdisciplinary Coral Reef Ed-Ventures Program and supports students participating in the NOAA College-Supported Internship Program; both programs are open to all Smith students. During the summer as well as the academic year, students can also conduct research with the ES&P program faculty whose work spans the natural sciences, social sciences and humanities. Thursday, October 25- Lecture: Creating, Preserving and Defending the Paris Agreement on Climate Change by Andrew Light, University Professor of Philosophy, Public Policy, and Atmospheric Sciences, and Director of the Institute for Philosophy and Public Policy at George Mason University. He is also a Distinguished Senior Fellow in the Climate Program at the World Resources Institute in Washington, D.C. Sponsored by the philosophy department with support of ES&P and CEEDS. 5:00 p.m., Seelye 201. Have a well-rounded understanding of earth and environmental processes and human-environment interactions. Think in systems across spatial, temporal and organizational scales. Recognize the connections between social justice and environmental issues. Integrate knowledge and approaches from different disciplines and identify underlying assumptions when approaching environmental problems. Be able to collect and analyze relevant data and human experiences. Be able to synthesize and communicate environmental information to multiple audiences in different forms. Have practical experience translating knowledge into meaningful action and innovative solutions. The Environmental Science and Policy (ES&P) major is designed for students with interests in the environment and sustainability and a commitment to scientifically based problem solving and policy analysis. The objectives of the major are to prepare students to transcend disciplinary boundaries, combine analytical and communication skills with a well-rounded understanding of the environment and translate this knowledge into meaningful action and innovative solutions. Four integration courses form the core of the major. Each course brings together frameworks, proficiencies and knowledge from natural and social sciences in an explicitly integrative fashion to explore and analyze important environmental topics at local to global scales. Additional introductory courses provide breadth in the natural and social sciences, humanities and policy, and statistics, and to introduce students to fundamental aspects of disciplines important to understanding human-environment interactions. Students gain depth of knowledge by choosing a coherent sequence of electives with a clear environmental focus. Students are strongly encouraged to engage in environmentally oriented internships, independent research or study away opportunities. Prospective majors should consult with an ES&P faculty adviser in choosing their courses. In their first semesters, students are encouraged to enroll in one of the introductory courses (see the list in the Smith College Course Catalog) and an appropriate core course (ENV 101), as well as statistics. Requirements checklist for majors and advisers. Please download the file and open it in the current version of Adobe Reader to fill out the checklist form. The minor in ES&P is designed for students with an interest in environmental issues and sustainability and a commitment to scientifically based problem solving and policy analysis. The minor consists of six courses chosen with the guidance and approval of an ES&P minor adviser. Interested students are urged to meet with an ES&P adviser early in their academic planning. The Marine Science and Policy (MS&P) minor permits students to pursue interests in coastal and oceanic systems through an integrated sequence of courses in the natural and social sciences. An introduction to marine sciences is obtained through completion of the two basis courses. Students then choose among upper-level courses that focus on or complement scientific investigation of the oceans and the policy aspects of ocean conservation, exploitation and management. Students should consult with one of the co-directors as early as possible in the course selection process.  To learn more about courses, please see the Smith College Course Catalog. Students with a strong academic background who wish to conduct independent and original work on an environmental topic are encouraged to pursue an honors project. Interested students should ideally contact potential honors advisers starting in February in the spring semester of their junior year. Please review the ES&P Honors Guidelines document and consult the director of honors for specific requirements and application procedures. Students interested in exploring a topic, issue or research project independently may propose a Special Studies course with a faculty adviser. Special studies offer students the opportunity to delve into a topic that may not be covered in courses, pursue in greater depth a project begun in a class or in a summer internship, or undertake a new project. Students interested in pursuing special studies should discuss their ideas and course proposal with their faculty adviser in the semester prior to the special studies. Applications for special studies courses are due at the beginning of the semester in the first full week of classes, however students may submit their special studies application form in the semester prior to the special studies. Students complete the special studies application in consultation with the special studies adviser and submit the form to the ES&P program director. The fabric of sustainability at Smith can be found across all aspects of the college—academics, operations, research and student life. Learn more about the heart of sustainabiity on campus. Environmental Science and Policy curricular activities are enriched by environmental and sustainability field and laboratory resources available at Smith. Many ES&P students gain valuable skills and experience at these facilities. Learn more about the science resources available through the Clark Science Center. Research interests of ES&P faculty advisers span a broad range of fields in the environment, including conservation biology, global climate change, political ecology, globalization and gender, environmental economics, development and population, international environmental politics, environmental ethics, air quality and human health, watershed and water quality dynamics, marine ecosystems and global marine policy. 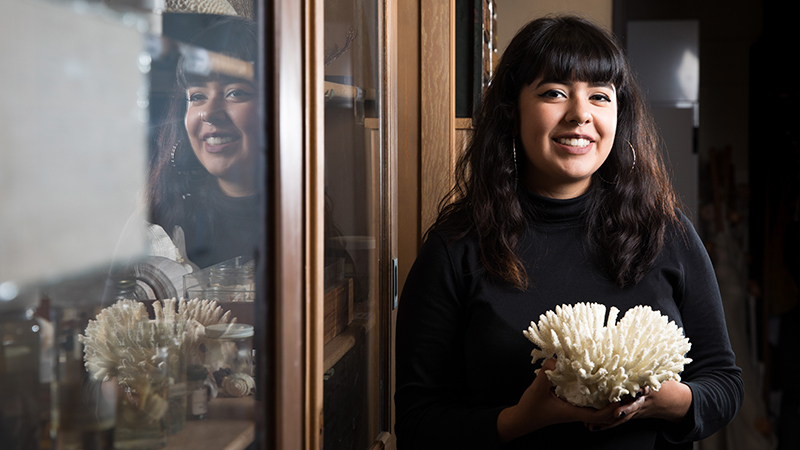 Sabrina Cordero ’19 says her summer in Belize inspired her to want to go to graduate school for marine biology with a focus on climate change, with a calling to teach children about science. Coral Reef Ed-Ventures is an innovative, cooperative educational venture between Smith College and the Hol Chan Marine Reserve in San Pedro, Ambergris Caye, Belize. This environmental education program for school children began in 2000 as an effort to facilitate community awareness of reef ecology and to support and encourage reef preservation. Reefs provide protection for coastlines and are the basis of tropical marine fisheries. Reefs also attract tourists, providing substantial income to island and coastal communities. Camp participants explore reef ecology through field trips to the beach and reef, conduct in-class experiments, and participate in creative activities. With support from Hol Chan Marine Reserve’s education coordinator, the program offers meaningful discussions on issues ranging from environmental ethics to the pros and cons of mangrove destruction. By the end of the program, camp participants are able to demonstrate significant knowledge of the coral reef environment by identifying reef organisms, discussing adaptations and symbiotic relationships, and understanding threats facing the reef. The Meso-American Barrier Reef lies off the coasts of southern Mexico, Belize and Honduras. The reef extends for 625 miles form north to south, from the northern tip of the Yucatan Peninsula to the islands of the Gulf of Honduras. The reef is second in size only to Australia’s Great Barrier Reef. Off the northeast coast of Belize, Ambergris Caye’s close proximity to the reef allows this small island to boast the title of Belize’s premier vacation destination. Hol Chan is Belize’s first marine reserve, and its mission is to monitor the health of the reef for sustainable fisheries and environmental and economic stability. The island’s economic and ecologic dependence on the reef necessitates a local understanding its central role in everyday life on Ambergris Caye. An interdisciplinary team of Smith College undergraduate students serve as the teachers for the program. During the program, children explore reef ecology through field trips to the beach and reef, conduct in-class experiments and participate in creative activities with arts and crafts projects, stories and games. With strong collaborative support from Hol Chan Marine Reserve’s education coordinator and a U.S. Peace Corps volunteer, the program is able to offer meaningful small group discussions on issues ranging from environmental ethics to the pros and cons of mangrove destruction. Guest speakers whose livelihoods depend on the reef, ranging from tour guides to dive masters to environmental volunteers, emphasize the importance of the reef as a critical resource to everyday life. By the end of the program, the children are able to demonstrate significant knowledge of the coral reef environment by identifying reef organisms, discussing adaptations and symbiotic relationships, and understanding threats facing the reef. The program concludes with a graduation ceremony, during which the school children perform skits using their learned knowledge of the coral reef and receive "Coral Reef Expert" cards. Interested in participating in Coral Reef Ed-Ventures? Read the application information below for details on how to apply and to access the link to the online application. For additional information please contact Joanne Benkley, assistant director. 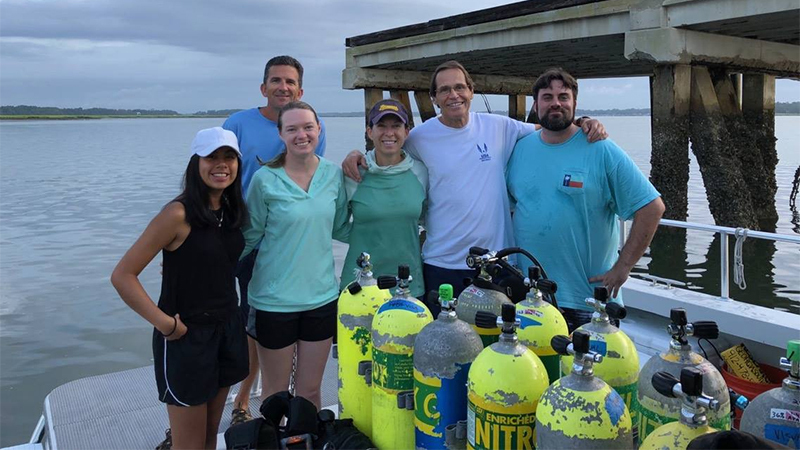 Smith's Environmental Science and Policy Program and the National Oceanic and Atmospheric Administration (NOAA) have partnered for summer internships since 1999, and that partnership has now grown to become the NOAA College-Supported Internship Program. This program provides summer internship opportunities in conservation science, coastal ecology, resource policy and management, environmental education and science communication. In recent the years Smith students have interned at various NOAA offices, labs and field sites in Cape Cod, Hawaii, North Carolina, Oregon, Washington, Alaska, Michigan, Virginia and Maryland. Internships have focused on field and lab research, GIS and data analysis, policy analysis, science communication and environmental education for children and adults. Interns work side by side with NOAA policy makers, scientists and others to address current coastal and marine environmental issues. The internships are 10 weeks, with a flexible start date, typically beginning between mid-May and early June. Fellowship stipends of $4,800 are provided by the Agnes Shedd Andreae 1932 Research Internship Fund. These fellowships are for Smith College students only. NOAA posts the list of internships in early January for the following summer. For more information about the NOAA College-Supported Internship Program and Smith College fellowship funding, please contact Joanne Benkley, Assistant Director, Environmental Science and Policy Program, Wright Hall 010, jbenkley@smith.edu. A list of the NOAA College-Supported Internships is available on the NOAA website. In early January, NOAA lists the internships for the following summer. The application for the NOAA internships is a two-step process. Applications are first reviewed by a committee at Smith to award the fellowship funding. Funded applications are then sent for review to the NOAA internship mentor. As a number of colleges and universities participate in the NOAA College-Supported Internship Program, an internship might have applicants from more than one school. If not selected for first or second choice internship, Smith and NOAA will seek to match the student with a suitable internship. We recommend students list up to three internship choices on their applications. A letter of recommendation from a faculty member (recommendation letters may be sent electronically from recommender's email address to Joanne Benkley or submitted in sealed, signed envelope). Completed applications for summer internships are generally due in early February each year, and may be sent electronically, in person, or by campus mail to: Joanne Benkley, Assistant Director, Environmental Science and Policy Program, Wright Hall 010, jbenkley@smith.edu. Please download the application form and use Adobe Reader to fill out and save the completed form. Other PDF readers, such as Preview on Apple computers, will not work well with this form. Environmental Science and Policy encourages our students to consider studying abroad for a semester or year, recognizing the value of study abroad experiences in deepening students' understanding of global diversity and global interconnections. Study abroad programs provide placed-based field, environmental policy, and cultural studies opportunities that enrich the ES&P curriculum offered at Smith. Students may count some courses from study abroad programs to meet the requirements of the ES&P major, especially elective courses for the focus of the major. Students interested in studying abroad should contact the Office for International Study as early as possible to note any language and eligibility requirements for study abroad programs as well as application deadlines for Smith approval to study abroad and for specific study abroad programs. For semesters away from Smith but within the United States (such as the Williams-Mystic program), contact the class dean's office for information about requirements. In addition to more general study-abroad options, students may choose to study away from Smith with one of the following approved environmental programs, all of which have a positive track record with Smith alumnae. Several programs offer courses during the interterm session, but these can only be taken for credit with consultation with an ES&P adviser. Students interested in any other programs should consult with their ES&P adviser. The Florence Augusta Merriam Bailey Prize is awarded for innovative and collaborative approaches to solving environmental and sustainability problems. This prize will be awarded to the group of students completing the best final project for the capstone course of the Environmental Science and Policy major (ENV 312); both fall and spring semester projects will be judged. Awards will be based on the innovative approach of the project, synthesis of natural and social science perspectives, professionalism of the final product (both written and public presentation), success of the student collaboration and the project’s potential impact for change. View a calendar of Smith's sustainability-focused events. Environmental concentrations in climate change and sustainable food engage students in hands-on experiences.